Guest host Elizabeth Ferguson Keathley chats with Madigan McGillicuddy, youth services librarian and blogger at Madigan Reads. Madigan McGillicuddy is a youth services librarian at Atlanta-Fulton Public Library. She completed her graduate degree at the University of Texas at Austin in 2006 and her undergraduate degree in Theatre at California State University at Northridge in 2001. Prior to landing in Atlanta, she worked with children and teens in large urban public libraries in Los Angeles and Austin. She reviews at School Library Journal and blogs at madiganreads.com. You can follow her on twitter @madiganreads. 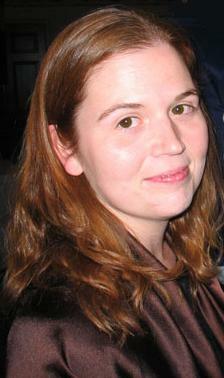 Elizabeth Ferguson Keathley is an information scientist with over a decade of experience in digital asset management. Currently she serves as chair of the education committee for the DAM Foundation, where she also oversees the online certification program for digital asset managers. She earned her MS in Archives Management from Simmons College in 2002, and in addition to contributing to CMS Wire and Circulating Ideas, Elizabeth helps organize and podcast the Atlanta DAM meetup group and is the author of Digital Asset Management: Content Architectures, Project Management, and Creating Order Out of Media Chaos published by Apress books.